Welcome to the sensorcleaning.com main page. It is our objective to introduce and educate you, the reader, in the intricacies of digital sensors and the proper cleaning techniques associated with them. The technology of digital sensor cleaning has been gaining popularity in recent years because of the wide adoption of DSLR (digital single lens reflex) cameras. Better production methods have seen DSLR camera quality steadily increase and the cost of production drop. This has had a profound effect on the increase and type of customers who use DSLR cameras. Professional photographers who in the past used traditional 35mm (and a lesser extent medium and large format) cameras and were once wary of DSLR cameras because of lack of quality and high prices have started to adopt using digital cameras. In addition to the benefits of saving money on film and processing equipment, photographers are now able to view their images immediately and also manipulate them easier with digital imaging software. With the lower price/higher quality DSLR cameras out on the market, a greater increase in the hobbyist and �prosumer� market share has also been seen. This group consists of people who have a penchant for photography and a higher then normal disposable income where they can afford professional level equipment for their interests. 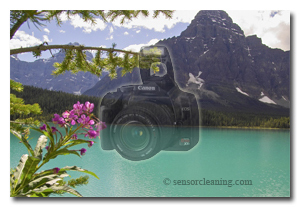 So whether you are a professional photographer, a hobbyist or someone somewhere in between, we have information invaluable for you in regards to keeping your digital sensor clean. Copyright © 2018 SensorCleaning.com — All Rights Reserved.